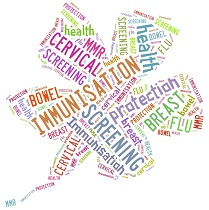 Lancashire and South Cumbria Public Health Commissioning Team are responsible for making sure the people of Lancashire and South Cumbria always have high quality screening and immunisation. The Public Health Commissioning Team is made up of two teams, the Public Health Commissioners, who work for NHS England and the Screening and Immunisation Team, who work for Public Health England. Together we make sure that the people of Lancashire and South Cumbria have high quality, safe, screening and immunisation programmes. Vaccination has done more to save lives and improve quality of life than anything else medically. The World Health Organisation (WHO) says that vaccinations are one of the two public health interventions that have had the greatest impact on the world’s health, the other being clean water. Screening can help people find earlier signs of disease and help find a way of diagnosing a problem and accessing treatment, this can be with cancer, eye problems due to diabetes or health checks for babies. Screening can and does save lives.